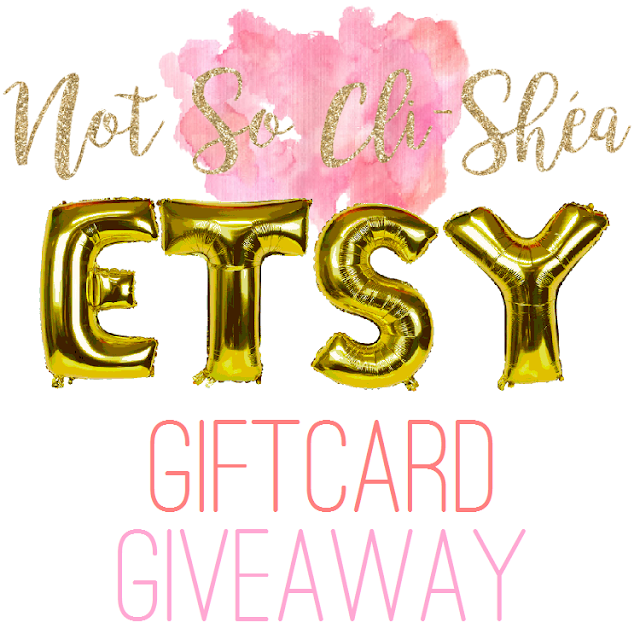 Not So Cli-Shéa: National Craft Month GIVEAWAY! As promised, it's giveaway time! National Craft Month is coming to a close and I found it only fitting for my giveaway to support fellow makers, so I'm offering a FIFTY DOLLAR Etsy gift card! Comment on this post telling me what you would do if you won for 2 entries! Be sure to pop on over to my Instagram for more ways to enter! Contest ends Friday the 31st at midnight. Winner will be announced Saturday April 1st!